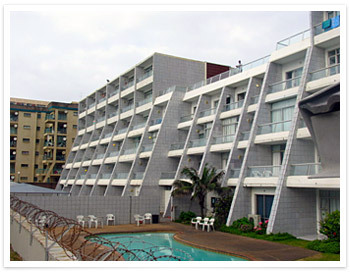 Set right on the beachfront, in the heart of Amanzimtoti, on KwaZulu-Natal’s south coast, lies Toti Cabanas, a luxurious self catering holiday resort, offering you our guest, majestic sea views and direct access to Amanzimtoti’s main beach. It truly is the ideal place to bring your family on holiday in South Africa’s premier holiday province, KwaZulu-Natal. Amanzimtoti is renowned as a holiday destination, and Toti Cabanas allows you to experience the best Toti and its surrounding area has to offer. 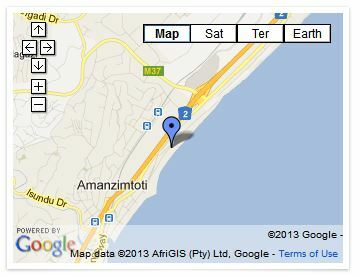 Our location allows you direct access to a safe (shark-netted) beach, with no roads to cross to get there. We’re confident your vacation stay at Toti Cabanas will be a memorable one. 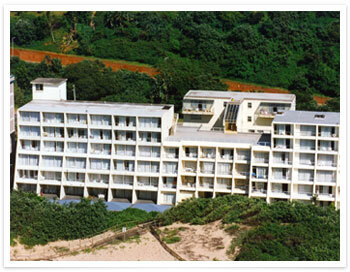 Come and experience the magic of Amanzimtoti and KwaZulu-Natal’s pristine south coast. We look forward to welcoming you to Toti Cabanas, and being part of your holiday experience. A range of activities and attractions very close by, including Zulu Cultural Village, Scuba diving spots, Golf Courses, Ice Rink, Curios and Crafts and so much more.